Over current trip in % is user settable. 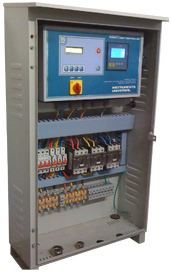 It has special function to store load current of each line & channel in memory. When over load will be detected it will trip that particular phase after define retries. UP to 30% . It is quite depend upon the time of staggering and the load you are stagger.